With hundreds of races taking place each year, they all need decent tracks to perform on. There’s plenty of choice from the iconic Isle of Man mountain course, the crazy street race in Macau and our home grown Brands Hatch. 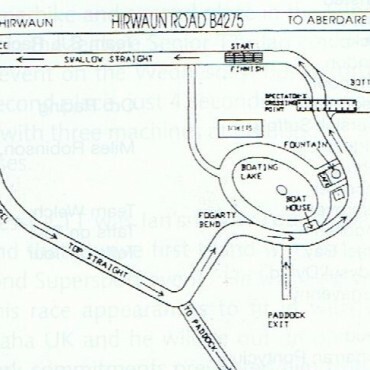 Despite being a simple airfield circuit with limited facilities, Carnaby Raceway, which was based at the end of an industrial estate in Bridlington, North Yorkshire, was a popular venue in the 1070s and 1980s, playing host to numerous British Championship meetings and providing close, entertaining racing. It was the first meeting to be televised by the BBC on two consecutive days but its location meant it was a prime spot for redevelopment and it hosted its last races in 1988. Darley Moor is situated two miles south of Ashbourne, Derbyshire and was initially an airfield, opened in June 1943 and used by the RAF in the Second World War for training purposes. Following the war it was in use until 1954 for ordnance servicing and storage but the runways were then converted into a 1.8-mile race track and since 1965, motorbike races have been held throughout the year. Simple in layout and perhaps sparse in facilities, the circuit is nevertheless popular with club racers whilst its annual National meeting, the ‘Stars at Darley’ has regularly attracted the cream of British racers including Ron Haslam, Carl Fogarty, James Whitham, Michael Rutter and John McGuinness. Automotodrom Grobnik is located in Rijeka, Croatia (formerly Yugoslavia) and from 1978 to 1990 it hosted the Yugoslavian motorcycle Grand Prix. Two and a half miles in length, Rijeka was a technical circuit and provided close racing but its facilities fell beyond those elsewhere and it was scrubbed from the calendar although it still stages rounds of the World Sidecar Championship. Knockhill Racing Circuit is in Fife, Scotland and opened in September 1974, now being Scotland's national motorsport centre. The circuit was created by joining service roads to a nearby disused mineral railway and has two layouts, the 1.3 miles International layout and the 1 mile National layout. The former is most traditionally used and since the 1980s, Knockhill has been developed to a point where it is able to host rounds of most of the major British championships including the British Superbike Championship. Tight and twisty, a lap of Knockhill takes less than fifty seconds. The Circuito del Jarama (Circuit of Jarama) was a 2.39-mile circuit located north of Madrid, Spain. 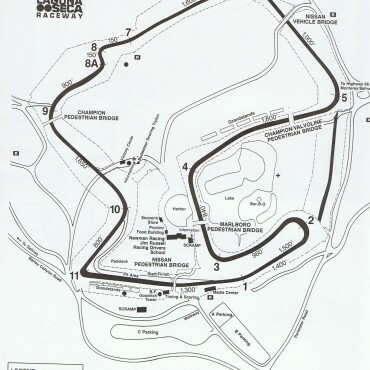 Designed by John Hugenholtz (who also created Suzuka), the circuit was built by Alessandro Rocci in 1967 in arid scrub land and comprised a short straight with most of the course consisting of tight, twisty corners. It held its first motorcycle Grand Prix in 1969, initially on odd-numbered years, but then on a permanent basis from 1977 onwards. 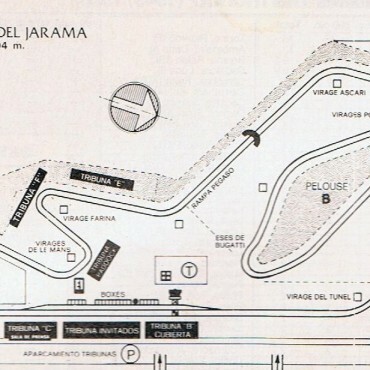 However, by the late 1980’s, it had become outdated and the new, modern Jerez took over as host of the Spanish motorcycle Grand Prix from 1987 onwards although Jarama did host the European round in 1998. Aberdare Park is a well-preserved Victorian park located in the village of Trecynon, near the town of Aberdare in South Wales. The park occupies nearly fifty acres of land and is also the location of a National road race meeting in July, which is held on a 0.9-mile circuit within the park. With a lap record of less than 40 seconds, riders like Carl Fogarty, Bob McIntyre and Mike Hailwood have all competed here and despite being small in length, the tree-lined course offers a daunting challenge. Opened on 25 July 1997 as Motopark Oschersleben, it became Germany's third permanent racecourse, after Nurburgring and Hockenheim and measures 2.28-miles long. Fairly flat in layout, Oschersleben is a fast and smooth circuit and having previously staged rounds of the World Superbike Championship, it continues to host a round of the World Endurance Championship, traditionally over eight hours. Circuit de Nevers Magny-Cours was built in 1960 although by the 1980s it had fallen into disrepair. It was modernised in the 1990s, hosting the French motorcycle Grand Prix in 1992 but had to wait until 1999 before it was back on the International map when it took over from Paul Ricard as the host for the 24-Hour Bol d’Or races. However, despite being redesigned in 2003 and hosting the Bol d’Or until 2014, as well as the French World Superbike round, it has failed to capture the imagination of many due to its uninspiring layout. 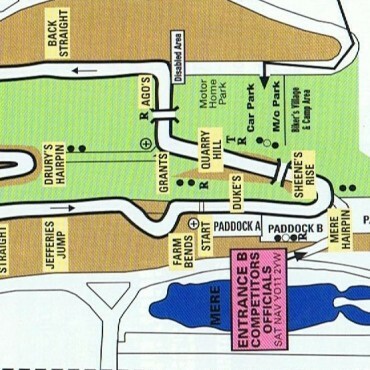 Barbagallo Raceway, originally known as Wanneroo Park, is located in Wanneroo, approximately 30 miles north of Perth with the first race meeting having taken place in March 1969. Only one and a half miles in length, the circuit climbs its way up a hillside before dropping down into a long, banked oval corner and then back down a high speed straight to the start and finish. Its westerly location meant it was costly for competitors to get to and it was dropped from the Australian Superbike calendar in the late 2000s. 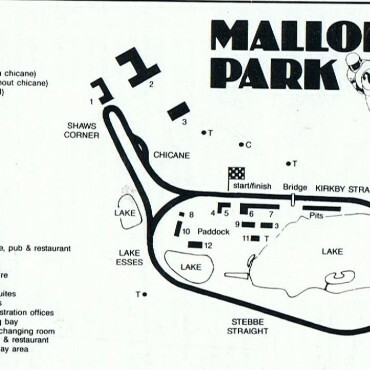 Situated in Leicestershire in Central England, Mallory Park is one of the UK’s oldest circuits, with racing having first taken place at the 1.2-mile venue in 1955. With legendary corners like Gerard’s and Devil’s Elbow, it was famous for its annual ‘Race of the Year’, which regularly attracted the world’s best riders and crowds of 50,000, whilst it also played host to the British Championships and Transatlantic Trophy Match races. Racing was limited for a period in the early 1980s whilst safety and infrastructure issues mean it no longer figures on Championship calendars. However, it remains popular with club racers and track day enthusiasts. The first records of racing at Croft date back to the 1920s, but it was after the Second World War that it became a significant motorsport venue. Racing came and went over the years but in 1997 the circuit underwent a major transformation being extended to 2.127 miles and having new pits, paddock complex, control tower and spectator areas constructed. However, noise restrictions and disputes with locals have seen activity at the circuit restricted heavily in recent years and the British Superbike Championship hasn’t returned following the 2011 season with no plans for it to return. With racing on the original 14-mile Nurburgring no longer safe, a new, purpose-built circuit was constructed and completed in 1984. It was built to meet the highest safety standards but was considered by many to be a mere shadow of its older sibling. Like many circuits of the time, it offered few overtaking opportunities but it does still host the German round of the World Superbike Championship. 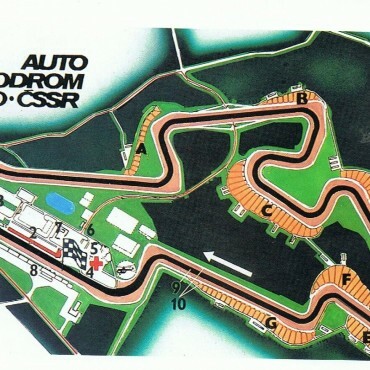 Venue for the Australian Superbike Championship and the International Swann Series of the 1980s, Surfers Paradise International Raceway was on the Gold Coast, Queensland and included a dragstrip along the main straight with a very fast right-hander under the Dunlop Bridge. This was widely considered the fastest and most daunting corner in Australian motorsport up until the mid-1980s. The two-mile long circuit closed at the end of 1987 after 21 years of operation and, after years of neglect it was finally destroyed in 2003. Motorland Aragón is a 3.3-mile circuit located near Alacaniz and has been designed to incorporate three main zones – a technology park, a sports area and a leisure and culture area. It is the most recent of the Spanish circuits to be added to the various calendars, hosting its first motorcycle Grand Prix in 2010 and World Superbike round a year later. Beveridge Park in Kirkcaldy, Scotland first saw racing taking place in August 1948 and was similar in layout to Aberdare Park in Wales. Meetings were held around the 1.3-mile circuit for a further forty years and covered all classes of motorcycles from 50cc up to 1000cc and sidecars. The circuit held its final meeting in 1988, after which the council claimed that the events caused damage to the surface of the roadway, thus posing a danger to the visiting public. There is a memorial to Jock Taylor, 1982 World Sidecar Champion in the park near the Railway Dip. 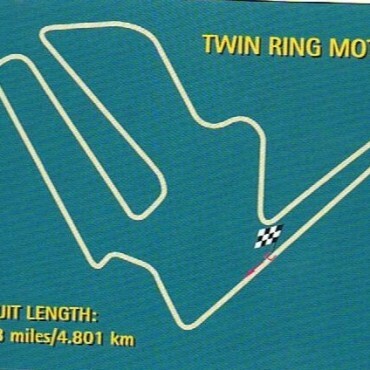 Twin Ring Motegi was built by Honda in 1997 as part of their efforts to bring the IndyCar Series to Japan and gets its name from having two circuit layouts, a 1.5-mile oval and the more commonly used 3-mile short circuit. 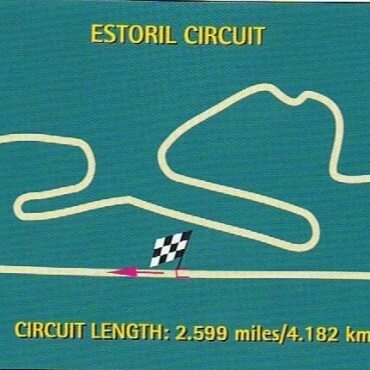 Although they are separate tracks, it is impossible for races to occur simultaneously on the two courses as access to the oval track comes via crossing the short circuit pit and front straight. 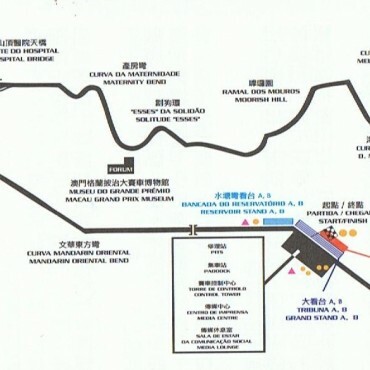 It hosted the Pacific motorcycle Grand Prix from 2000 to 2003 and took over as venue for the Japanese round in 2004 when Suzuka was deemed unsuitable. Crystal Palace opened in 1927 and the first race, for motorcycles, was on 21 May 1927. The circuit was 1-mile long, and ran on pre-existing paths through the park, including an infield loop past the lake. 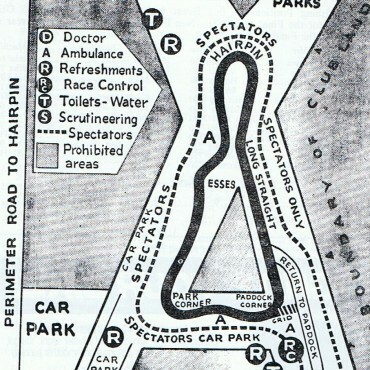 Improvements begun in December 1936 increased the circuit to 2 miles and tarmac covered the entire length but the outbreak of the Second World War meant racing didn’t commence again until 1953 when it dropped back down to 1.39-miles. Average speeds continued to rise over the years, edging close to 100mph, with rider safety coming into focus in the early seventies. 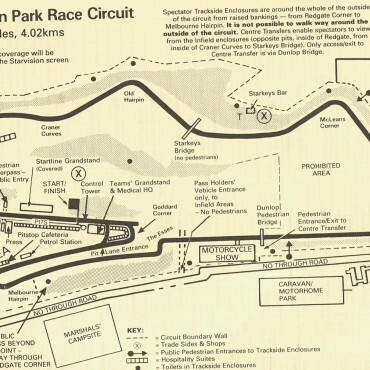 Expensive improvements were undertaken, but it was not enough to save the circuit and the final meeting was held on 23 September 1972 although club events still continued until the circuit's final closure in 1974. The Circuit de Barcelona-Catalunya was built in 1991 and was used partially for the Olympic cycling events the following year. With long straights and a variety of corners, the Circuit de Barcelona-Catalunya is seen as an all-rounder circuit. It has hosted a round of the MotoGP Championship every year since 1996, traditionally in the middle of June. The Losail International Circuit is located just outside in the town of Lusail, north of Doha, Qatar and was built in just under a year by 1000 workers costing $US 58 million. The circuit opened in 2004 and has hosted a round of the MotoGP Championship ever since as well as the World Superbike Championship. The track is 3.375-mile in length and is surrounded by artificial grass to stop the sand encroaching on the track. By 2007, Losail added permanent outdoor lighting for night races and the first night race in MotoGP history took place in 2008. Every GP since has taken place under the floodlights, the only one of its kind on the MotoGP calendar. Originally designed in 1969 as a length of 2.17 miles, Misano hosted its first event in 1972 before finally hosting the Italian motorcycle Grand Prix between 1985 and 1987. It was back on the calendar in the early 1990s when it was increased in length in 1993 to 2.53-miles although that proved to be a sombre year for the track as it was here where Wayne Rainey had his career-ending crash. Between 1996 and 2001 all facilities were improved further, adding more pits and stands with further modifications taking place in 2006 in order to bring it up to MotoGP standard. Uniquely, the circuit direction was changed to clockwise, the track length was brought to 2.6 miles and track width widened to 14 m. With all the necessary safety measures in place, the circuit has hosted the San Marino round of the MotoGP World Championship since 2007 and, in 2012, it was renamed to commemorate Marco Simoncelli, who died in a crash at Sepang, Malaysia in 2011. 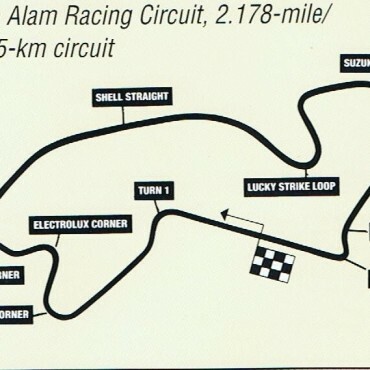 Shah Alam was opened in 1968 and measured 3.693 km in length seeing its first major motorcycle race in 1990 and 1991 when it hosted a round of the World Superbike Championship. From 1991 to 1997 it staged the Malaysian motorcycle Grand Prix, being won four times by Mick Doohan, before moving firstly to Johor Muru and then Sepang. In 2003 the circuit was sold by Selangor state government to a property developer, which then developed the area into a luxury housing project. The Le Mans Bugatti Circuit is a permanent race track located within the Circuit des 24 Heures. The circuit uses a part of the larger circuit and a separate, purpose-built section and became famous in the 1970s for hosting the Le Mans 24-Hour World Endurance motorcycle race, something it still does today. By the late 1960s, it was alternating the French motorcycle Grand Prix with various other French circuits, including Clermont Ferrand and Paul Ricard, but since 2000 it has been the sole host of the event. 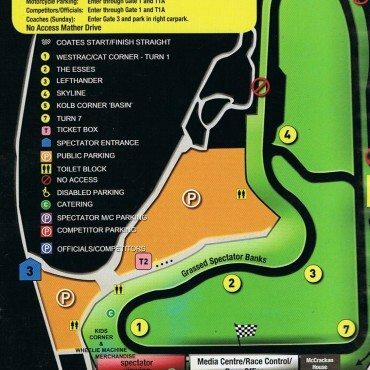 Eastern Creek International Raceway (now known as Sydney Motorsport Park) is located 40-kilometres west of the Sydney CBD, New South Wales and was built in 1989, opening its doors to racing 1990. After the Australian motorcycle Grand Prix was held at Phillip Island in 1989 and 1990, there was a conflict over advertising between the Victorian Government and the tobacco industry, who were major sponsors of the Grand Prix teams. In October 1990, a deal was made for the Grand Prix to be held at Eastern Creek for the first time in 1991, remaining there until 1996 where it returned to Phillip Island for the 1997 season. 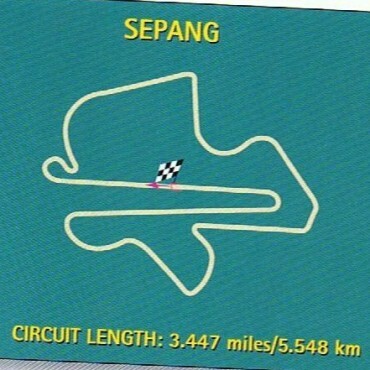 Designed by German Hermann Tilke, the Sepang International Circuit was officially opened on 7 March 1999. Measuring 3.4-miles, it is noted for its sweeping corners and wide straights whilst the layout itself is quite unusual, with a very long back straight separated from the pit straight by just one very tight hairpin. A popular venue for off-season testing, it hosted the Malaysian motorcycle Grand Prix every year since 1999. The Cookstown 100 road races are the opening race of the road racing calendar in Ireland and are usually held in April. 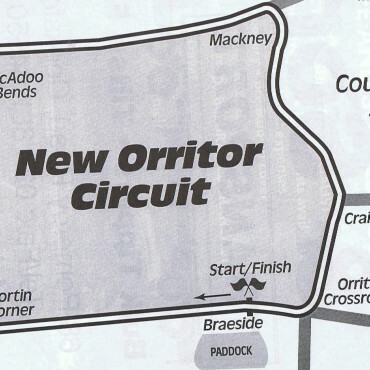 Originally held on the longer, more challenging Orritor circuit, the races now take place on a shorter 2.1-mile circuit but still remain as popular ever giving riders the first opportunity of the year to blow away the winter cobwebs. 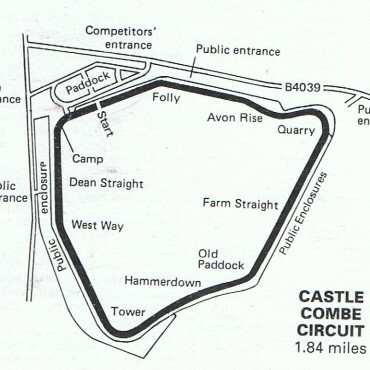 The Castle Combe airfield opened in May 1941 on land of the Castle Combe estate, with the 1.8-mile circuit opening in 1950. The circuit's first motorcycle event was in 1952 and it soon became popular with both riders and fans due to its fast layout although it was extremely bumpy, a trait that remains today. Over the course of time though, the venue hosted less and less bike races and now just one meeting a year is held although it does remain popular for track days and for testing, particularly with teams preparing for the Isle of Man TT races. 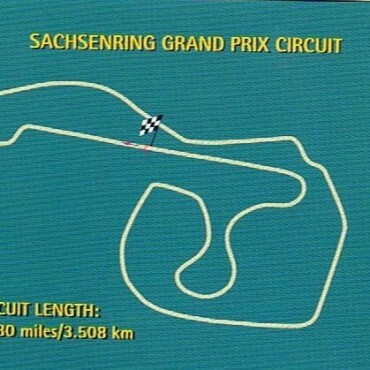 After the old Sachsenring circuit had been consigned to the history books, a new 1.8-mile circuit was built in the 1990s to accelerate redevelopment of eastern Germany in the new unified Germany and bring international motorsport back to the newly freed eastern part of Germany. In 1996, IDM motorcycle racing and the ADAC Super Tourenwagen Cup resumed racing and just two years later, it took over as host of the German motorcycle Grand Prix. Despite being one of the shortest circuits on the calendar (2.2-miles) it continues to be one of the most popular and well-attended events. 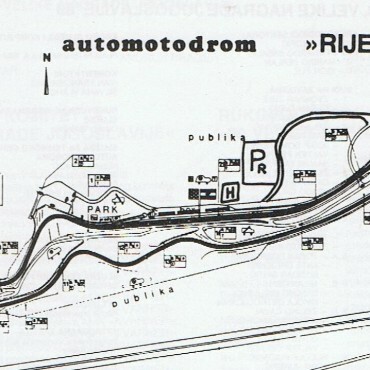 After the original public road circuit of Brno was outlawed, investment was put into developing a brand new, purpose built 3.3-mile short circuit and it was opened in 1987. Lying north of Kyvalka, it is within the bounds of the circuit used in the 1930s, but not incorporating any of the public roads, instead winding its way up and down the hillsides. As soon as it was opened, it regained its World Championship status and has done so ever since. The Circuit of the Americas (COTA) is located in Elroy near Austin, Central Texas. The layout was conceived by promoter Tavo Hellund and 1993 World 500cc Champion Kevin Schwantz with input from German architect and circuit designer Hermann Tilke. The circuit is 3.4 miles long and is made up of twenty turns, many with deliberately widening corners to encourage multiple lines and overtaking, with an elevation change of 133 feet. The design draws from several European circuits, including a recreation of Silverstone’s Maggotts-Becketts-Chapel sequence, Hockenheim’s arena bends, and a replica of Istanbul’s Turn Eight. Since 2013, it has hosted a round of the MotoGP World Championship. 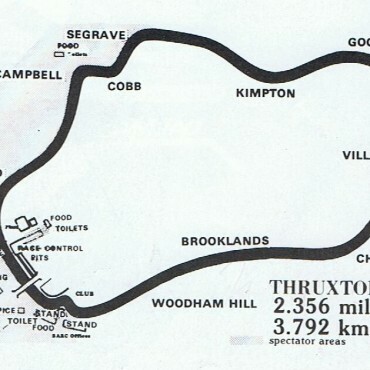 Thruxton is located in Hampshire England and is the fastest short circuit currently in use in the UK with the British Superbike Championship lap record currently standing at 113.26mph. Originally constructed in 1940 as an RAF airfield, it was first used for motorbike races in 1950 and although race days throughout the year are limited, it provides some of the closest, most exciting racing on the calendar. The 2.3-mile circuit is renowned for being bumpy and abrasive whilst it’s also unique in the fact that only a third of the circuit is accessible to spectators. The Clypse Course was a motor-cycle racing course used for the Isle of Man TT Races between 1954 and 1959. 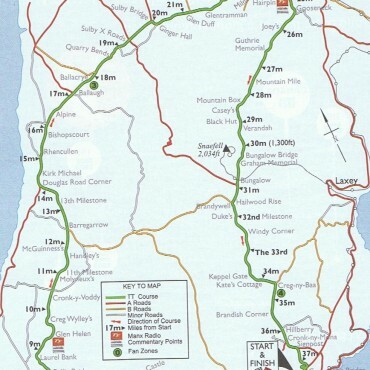 Measuring 10.92 miles in length, the course used two short sections of the TT Mountain Course from Cronk ny Mona to Creg ny Baa, taken in reverse, and from Signpost Corner to the top of Bray Hill where it turned right. It was used to re-introduce the Ultra-Lightweight and Sidecar TT races to the 1954 programme with the Lightweight TT race taking place there too from 1955 onwards. However, the last year for racing on the Clypse Course was 1959 and for 1960, the Lightweight, Ultra-Lightweight and Sidecar TT Races reverted to the Mountain Course. 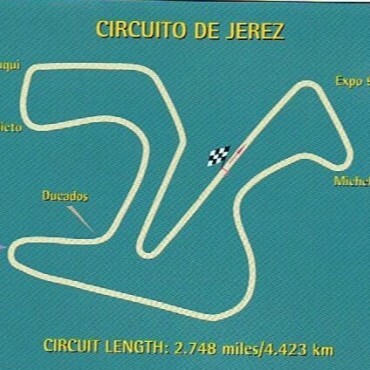 The Circuito de Jerez (Circuit of Jerez), formerly known as Circuito Permanente de Jerez, is a 2.75-mile circuit located close to the city of Jerez de la Frontera, deep within the sherry-producing south of Spain. 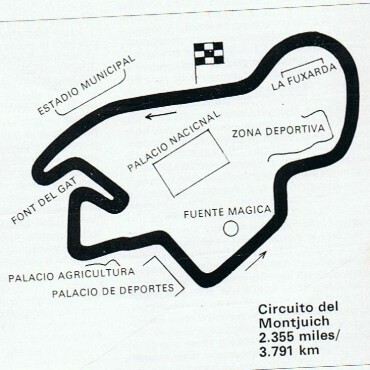 The circuit opened on 8 December 1985 and although its relatively remote location hindered significant spectator turnout initially, that soon changed and the resurgence in Spanish riders and Spanish motorcycle racing soon saw crowds in excess of 120,000. It held its first motorcycle Grand Prix in 1987 and has done so ever since and although the circuit layout isn’t the most inspiring, the huge crowds ensure there’s always an excellent atmosphere. 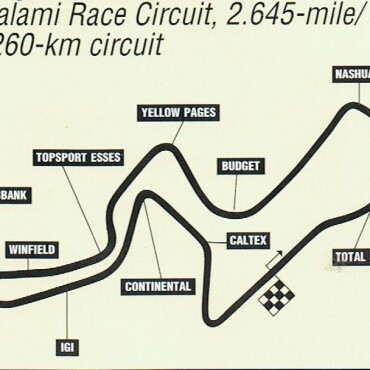 Originally used in 1961, the sweeping, undulating Kyalami Racing Circuit played host to the Grand Prix World Championship between 1983 and 1985 until political sanctions (due to apartheid policies) eliminated it from the calendar. It was rebuilt in the 1990s with half of the original circuit remaining but the other half being newly constructed meaning it lost a lot of its speed and, instead, became quite narrow and twisty. However, World Championship racing returned from 1998 to 2002 and again in 2009 and 2010 with the World Superbike Championship. Opened in 1975, Sportsland is one of the largest motorsports facilities in Japan, offering four specialized race courses – for road racing, motocross, trials and go-karts. Set amongst hilly countryside, changes in elevation and a challenging layout made Sugo an excellent race course and it hosted a round of the World Superbike Championship from 1988 until 2003. The Circuit Bremgarten was a 4.5-mile track in Berne, Switzerland which formerly hosted the Swiss motorcycle Grand Prix. It was built in 1931 and was unique in that it had no true straights, instead consisting of a collection of high-speed corners. From the outset, Bremgarten's tree-lined roads, often poor light conditions and changes in road surface made for what was acknowledged to be a very dangerous circuit, especially in the wet. It hosted a round of the Grand Prix motorcycle World Championship was 1949 until 1954 with famous riders who raced here including Stanley Woods, Freddie Frith and Geoff Duke. However, after the 1955 Le Mans disaster, the circuit hasn’t hosted an official motorsport since with all spectator racing sports, with the exception of hill climbing and rallying, being banned in Switzerland. The Billown Circuit on the Isle of Man is 4.25 miles in length and is best known for the Southern 100 road races, which take place in July, although it also hosts the Pre-TT Class and Steam Packet national races. Held in Castletown in the south of the island, the course is narrow, bumpy and daunting with races held for the first time in 1956 since seeing many of the UK’s finest road racers compete including Joey Dunlop, Ian Lougher and Guy Martin. The re-introduction of two-stroke motor-cycle racing to the Isle of Man TT race programme saw Lightweight and Ultra-Lightweight TT races held at the venue although only for a two-year period, 2008 and 2009. The Autódromo Termas de Río Hondo in Argentina was only created in 2007 and underwent a complete overhaul and rebuild process in 2012, based on design by the Italian circuit designer Jarno Zaffelli. By 2014, it was on the MotoGP calendar, the first time Argentina had hosted a motorbike Grand Prix in fifteen years, with the riders unanimous in the praise of the circuit with its layout offering close racing and a throwback to circuits from previous eras. Named after Oliver Cromwell, Oliver's Mount is an area of ground overlooking Scarborough, North Yorkshire and whilst it offers impressive views of the town, a tribute monument to the war dead, camping and a café, it is primarily known for its motorcycle races having hosted its first meeting in 1946, continuing to the present day. A 2.43-mile narrow public road circuit that weaves and winds its way up and down the hillside, it has played host to some of the greatest names in road racing including Geoff Duke, Phil Read, Giacomo Agostini and Barry Sheene with the International Gold Cup in September having previously attracted crowds in excess of 60,000. Road America is located near Elkhart Lake, Wisconsin and has hosted races since 1955, currently hosting a round of the AMA Superbike series. Open-wheel racing journalist Robin Miller has described Road America has "the best test of road racing in North America" and was often mooted as being the ideal venue for the American round of the World 500cc Championship. It’s one of only a handful of road circuits in the world maintaining its original configuration being four miles in length and comprising 14 turns with many elevation changes. The Paul Ricard Circuit was built in 1969 at Le Castellet near Marseille in the South of France and was financed by an eccentric businessman called Paul Ricard. 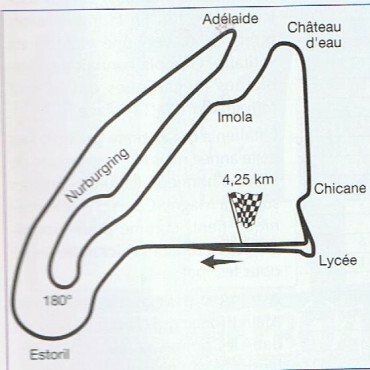 The original track was dominated by the 1.8 km long Mistral Straight followed by the high-speed right hand Signes corner and its innovative facilities made it one of the safest motor racing circuits in the world at the time of its opening. During the 1970s and the 1980s the track hosted the French motorcycle Grand Prix, alternating with Le Mans, as well as the prestigious Bol d’Or 24-Hour World Endurance event. 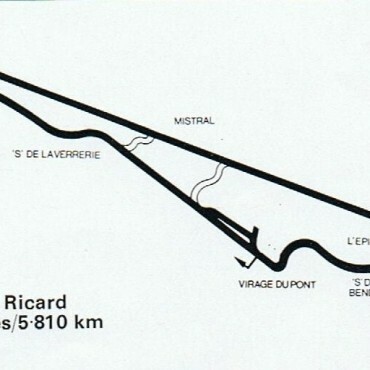 However, when Ricard died the track was sold to a company owned by Bernie Ecclestone and it was used solely as a test track, particularly for Michelin. Motorbike racing disappeared from the venue but it finally returned in 2015 with the Bol d’Or once more taking place. Situated in the north of the Isle of Man, the Jurby south road circuit was a fast, exhilarating and bumpy 4.25-mile circuit that traditionally held two meetings a year, one in May prior to the TT and one in July, just after the Southern 100. Speeds were high, the final lap record being in excess of 116mph, but the condition of the road surface meant the track licence was withdrawn and with it not being financially viable to improve for racing purposes with the final meeting taking place in 2009. Built in 1957, Laguna Seca is a 2.238-mile circuit in central California with its eleven turns seeing an elevation change of 180 feet. It’s most famous corner is the Corkscrew, a left-right combination that sees a blind approach and the course drop height dramatically, a corner that isn’t replicated on any other circuit in the world. 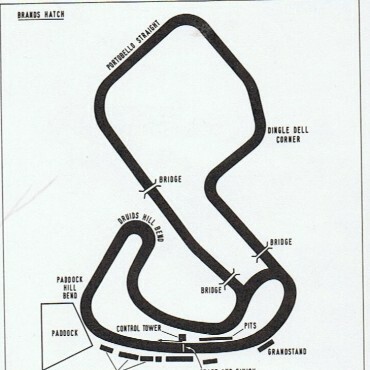 The track has undergone numerous changes over the years in order to meet safety requirements but held the American round of the 500cc/MotoGP Championship for many years before Austin and Indianapolis replaced it. However, it continues to host rounds of both the World and AMA Superbike Championships. One of the more recently constructed circuits, Portimao is a 2.95-mile circuit which cost €195 million with the project including a karting track, technology park, five-star hotel, sports complex and apartment. Construction was finished in October 2008 and it hosted the final round of the World Superbike Championship a month later. It was immediately popular with riders, resembling a layout similar to the old Nurburgring and Spa-Francorchamps, mainly because of its constantly undulating nature. Despite its popularity, it has constantly been dogged by financial issues. 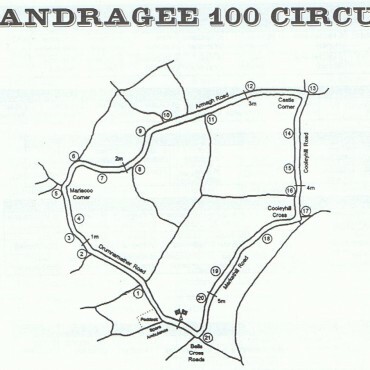 The Tandragee 100 is traditionally held in the first weekend in May, with the circuit located in County Armagh. The first meeting took place on Saturday 19th April 1958 and has been one of the most popular road racing events on the annual calendar. It has been called a 'mini TT' by top riders with its mix of flat out blasts, narrow technical bumpy sections such as Cooley Hill Road, its fast sweeping bends and the 180 mph Cabragh Straight - the 5.3 mile course is a test of road racing unmatched by other national courses. It offers riders the chance to really 'set up' their bike for the NW200 or the Isle of Man TT. The Solitude race track was an 11.4 km circuit near Stuttgart with the event and track named after the nearby Castle Solitude. Motorsports events were held there from 1903 to 1965 with, initially, the action confined to two wheels due to the narrowness of the track and it wasn’t until 1956 that car racing was staged. The circuit hosted the German Grand Prix from 1952 to 1964 with the races taking place on even numbered years. 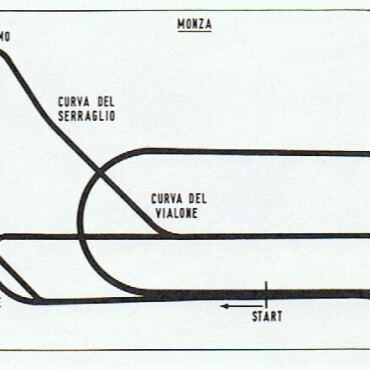 The Autodromo Internazionale Enzo e Dino Ferrari is a circuit near the Italian town of Imola, 25 miles east of Bologna. 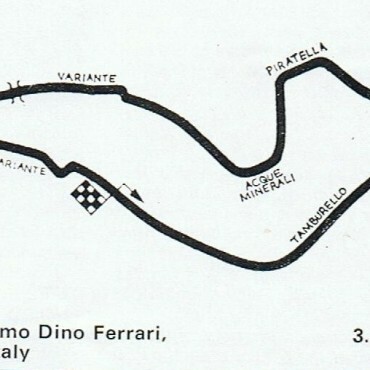 The circuit is named after Ferrari’s late founder Enzo and his son Dino. 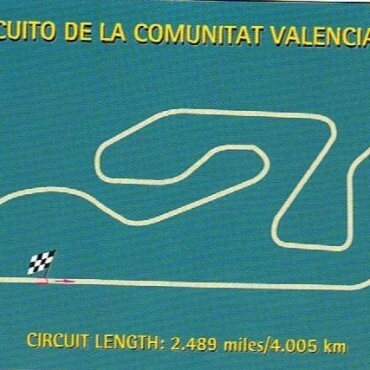 The track was inaugurated as a semi- permanent venue in 1953, when it had no chicanes and the circuit remained in this configuration until 1972. In April 1953, the first motorcycle races took place and whilst Monza predominantly hosted the motorcycle Grand Prix, it played host to the international and prestigious Imola 200 races on an annual basis. Like most Italian circuits, it consistently gave close and exciting racing and it now hosts a round of the World Superbike Championship. 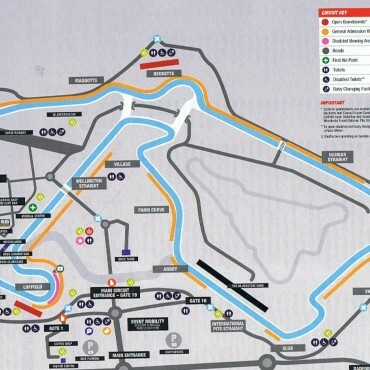 It is colloquially known, as one of the few major international circuits to run in an anti-clockwise direction. 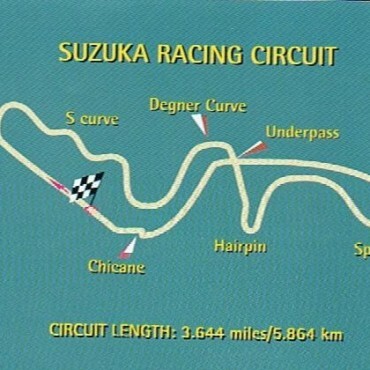 Designed as a Honda test track in 1962 by Dutchman John Hugenholtz, Suzuka is one of few circuits in the world to have a "figure 8" layout, with the 1.2 km back straight passing over the front section by means of an overpass. 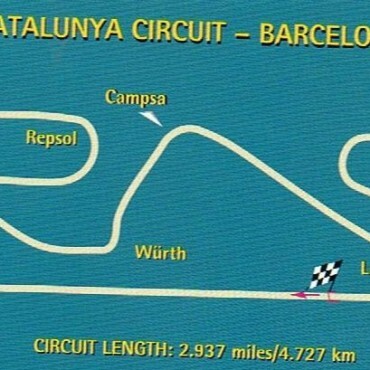 The circuit has been modified four times with the first change coming in 1983 with the installation of a chicane at the last curve and the Degner curve (named after 50cc World Champion Ernst Degner) being made into two corners instead of one long curve. Having hosted the Motorcycle Grand Prix in the 1960s, it returned to the calendar in 1987. 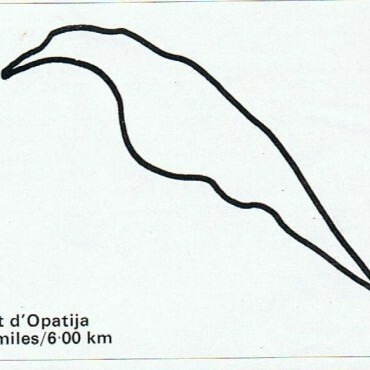 In 2002, the chicane was slightly modified, 130R (marked as 15 on the diagram) was also modified and some of the Snake curves were made a bit straighter and faster. A year later the chicane was made slightly faster and closer to the 130R. However, during that year’s MotoGP round, Daijiro Katoh was killed when he crashed in the new section, on his way to the braking zone for the chicane. MotoGP has not returned to Suzuka since the incident although it continues to host the annual 8-Hour World Endurance round. The Hockenheimring was originally built in 1932 and was used for motorcycle racing before being expanded to be used as test track for Mercedes-Benz and Auto Union. After World War II, former DKW and NSU factory rider Wilhelm Herz promoted the track successful and the German Grand Prix was held here, on alternate years, between 1957 and 1994. 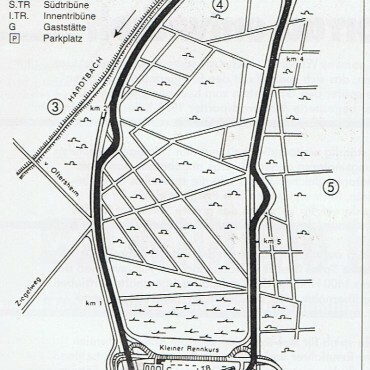 Originally eight kilometres in length, a new version was built in 1965, with a very long and very fast section going through forests essentially consisting of four straights, separated by a chicane sequence, followed by a tight and twisty "stadium" section so called because of all the grandstands situated there. It was the first circuit where a Grand Prix motorbike recorded 200mph (Shinichi Itoh in 1993) but it lasted hosted the German GP in 1994 as it was majorly modified at the request of the Formula One teams. Mount Panorama, Motor Racing Circuit Bathurst is located in Bathurst, New South Wales and although best known for touring car races, it did host motorcycle races for a long period of time. The track is 4 miles long, and is a public road circuit with a 570-foot vertical difference between its highest and lowest points. The very first race held at the Mount Panorama Circuit was in 1938 and it played host to the Australian motorcycle Grand Prix for a significant portion of its pre-world championship life. However, the last motorbike race took place in 2000 and with the track layout and tighter modern safety standards, it is highly unlikely they will ever return, instead becoming the near-exclusive province of closed-bodied cars. The first Carrowdore 100 Road Races were was held in 1927 starting on the Greyabbey to Millisle Road and continuing down the coast road. 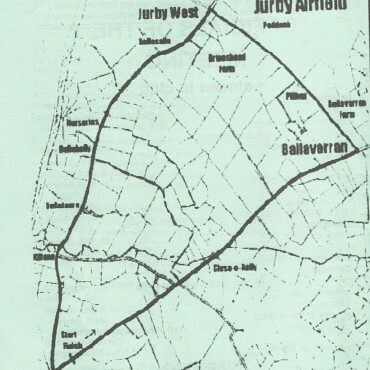 However, the County Down Council then banned all racing through built up areas and for the next two years the Carrowdore 100 was held over a circuit in the Comber/Killinchy area. Eventually, the meeting moved back to Carrowdale, with the start in Carrowdore Village and the track was shortened over the years, for safety reasons, to 5.5 miles in length. Like the Temple, modern machinery eventually made the spectacular course too dangerous with the last race being held in 2000. The Temple 100 was one of the oldest races in motorcycling, first being held in 1921, and a year before the road races act of 1922. 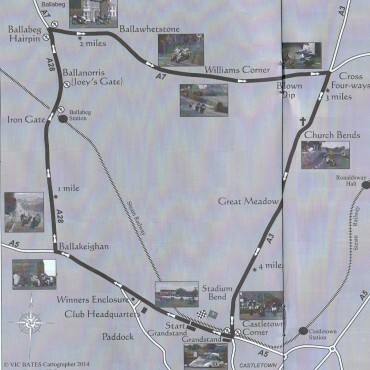 It was the first road race in Ireland and the circuit was some 25 miles in length. All the early races were held on a handicap basis but this changed to separate classes in the 1950s with the Saintfield circuit gradually being cut back to just over five miles but continuing on the roads between Saintfield and the Temple crossroads on the Belfast to Ballynahinch road. With its spectacular jumps, the races were eventually stopped in 1999 with the MCUI declaring the course too dangerous and although attempts were made to acquire another venue nearby, residents objected and the Temple 100 disappeared into the history books. 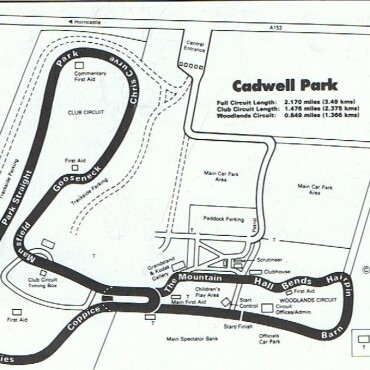 Located in the Lincolnshire Wolds, Cadwell Park was established in 1934 by Mr Mansfield Wilkinson of Louth with the original circuit consisting of gravel-drives of the country estate and measuring just 3/4 miles. Tarmac and concrete were added in 1938 with widening and lengthening in 1953, growing to its current length of 2.25 miles in 1962. Sited on former parkland across a steep-sided valley with dips and crests, the circuit features sharp changes in gradient, including one section called The Mountain where bikes can become airborne by up to several feet. Its mix of challenging corners has led to being nicknamed a Mini-Nurburgring. 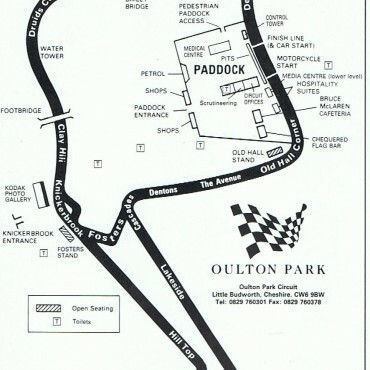 Oulton Park Circuit is located on the Oulton estate near the small village of Little Budworth, Cheshire and hosted its first motorcycle meeting in 1953. At 2.8 miles in length, the track is characterised by rapidly changing gradients, blind crests and several tight corners and is one of the most popular venues on the calendar both with riders and spectators. A challenging circuit in the purest sense, various improvements and changes have been made to the circuit over the years but it has retained all of its original character and has played host to some of the finest names in motorcycling. It continues two host two rounds a year of the premier British Superbike Championship. The North West 200 was originally run in over two hundred miles as a handicap race in 1929, before changing to its current format of several separate races. 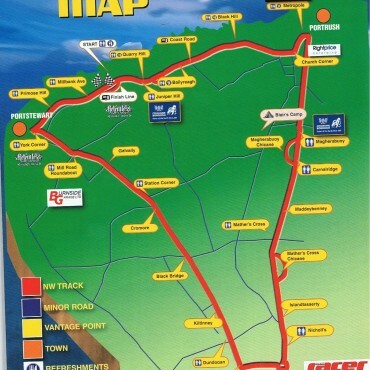 Traditionally held each May, the course is made up of public roads linking the towns of Portstewart, Coleraine and Portrush and is one of the fastest in the world. Indeed, in practice for the 2012 event Martin Jessopp was clocked at 208 mph on the high speed run to University Corner. In 1978, Tom Herron set a never to be beaten lap record of 127.63mph as, since then, numerous chicanes have been added on safety grounds in order to curb the speeds. It has often been Northern Ireland’s biggest outdoor sporting event attracting crowds in excess of 100,000. Daytona International Speedway is located at Daytona Beach, Florida and was built in 1959 by NASCAR founder William France Sr. The first Daytona 200 motorcycle race was held in 1937 on a beach racing venue but moved to the International Speedway course in 1961 where it has remained ever since. Traditionally held in March, the race has been one of the toughest in American motorcycling because of its endurance-like qualities of pit stops for tyres and fuel, and nine FIM world champions, including seven 500cc/MotoGP World Champions, have won the race. Due to increasing concerns over speeds, changes were made in 2005 with the race being cut to 100km and for 600cc machines only as opposed to Superbikes. The Imatra race circuit in Finland was six kilometres of tree-lined roads, where speeds could reach up to 180mph and which, at one point, leapt over the railway lines. Held in August, the Finnish motorcycle Grand Prix was held here from 1964 until 1982 although it was one of the fastest and most lethal street circuits in bike racing history. The 500s raced here for the last time in 1981 and the following year it was only held for the supporting categories: 125, 250 and Sidecar. The meeting was held in puring rain and during the sidecar race former Wold Champion Jock taylor was killed and the event was struck off the calendar. 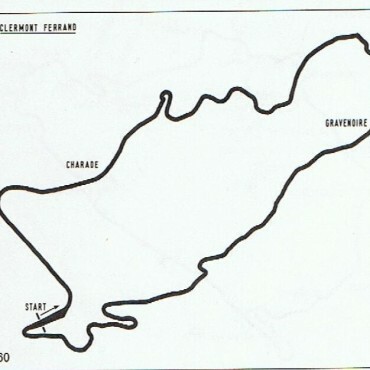 The Charade Circuit (also known as Circuit Clermont-Ferrand) was a daunting 5-mile circuit in the Auvergne Mountains near the French town of Clermont-Ferrand. Built in 1958 around the sides of an extinct volcano, the circuit was described as an even twistier and faster version of the Nurburgring. 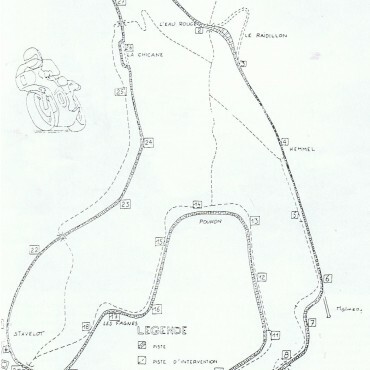 The French motorcycle Grand Prix was held at Charade from 1959 to 1967, and 1972 to 1974, and in the words of motorcycling author Peter Carrick, the circuit was “a variety of really tight corners quickly demonstrated—or exposed—a rider's skill” The last ever race was held there on September 18, 1988 although a 2.4-mile abbreviated version of the circuit is still in use. Originally built in 1969, the Österreichring track was situated in the Styrian Mountains and it was a spectacular, scenic and unique circuit. The track was very fast, every corner was a fast sweeper and many considered it to be highly dangerous, especially the Bosch Kurve, a 180-degree downhill right-hand corner with almost no run-off area. Some of the track was just road with little to no protection at all and speeds were also a concern (the Formula One car’s fastest lap, set in 1987, was a staggering 159.457mph) but in 1988 it played host to a round of the inaugural World Superbike Championship and did so until 1994. 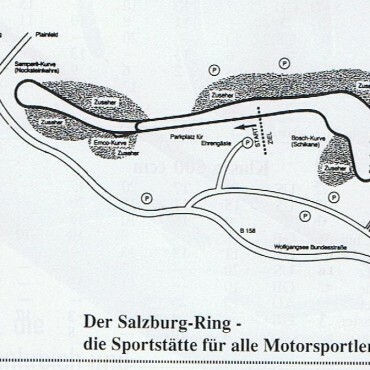 However, the Österreichring's safety concerns had reached a head in the mid-1990s, and in 1995 it was totally rebuilt and renamed the A1-Ring, hosting the Austrian motorbike Grand Prix in 1996 and 1997. The Opatija circuit in Yugoslavia (now Croatia) was a street circuit known as the ‘Monaco’ of the Grand Prix motorcycle racing calendar because of its spectacular views of the Adriatic Sea. From 1969 until 1977 it hosted the Yugoslavian Grand Prix but as the years progressed it became more and more dangerous for modern machinery. Despite its scenic setting, it was an unsafe race track due to high speeds on narrow roads coupled with numerous unmovable roadside obstacles, such as trees, stone walls, lampposts, electric poles, embankments, houses, and the Adriatic Sea. During the 1973 season, several racing teams including Yamaha, Harley Davidson and MV Agusta boycotted the event due to unsafe track conditions. By 1977, the Yugoslavian Grand Prix promoters had received an ultimatum from the FIM that if they did not improve the safety of the circuit, the event would be canceled. Tragically, Giovanni Ziggiotto, and Ulrich Graf were both killed and the tragedies saw the venue scrubbed and the Yugoslavian Grand Prix was moved to the Rijeka circuit for 1978. The Montjuich circuit is a former street circuit located on the Montjuich mountain in Barcelona and, despite its dangers, is one of the great circuits from the past. It was the venue for the Spanish motorcycle Grand Prix from 1950 to 1968 inclusive and then on even numbered years until 1976 when it hosted its final GP. Racing first began on the circuit in 1932 whilst it was also the scene of the 24 hours of Montjuich, a motorcycle endurance race. However, a multiple pile in the 1985 World Formula One Championship race, which left Tony Rutter seriously injured, effectively spelt the end of the venue. The TT Circuit Assen is popularly referred to as "The Cathedral" of motorcycling and is the only circuit to have hosted a round of the World motorcycle championship every year since the inaugural season in 1949. 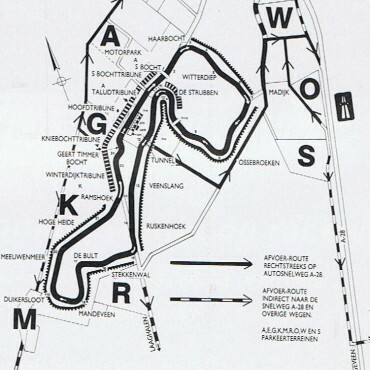 The original Assen track, however, was first used in 1925 before moving to its current site in 1955 when a whole new circuit was built close to the site of the original, but less than a third of the length and much more like a modern circuit as opposed to public roads. 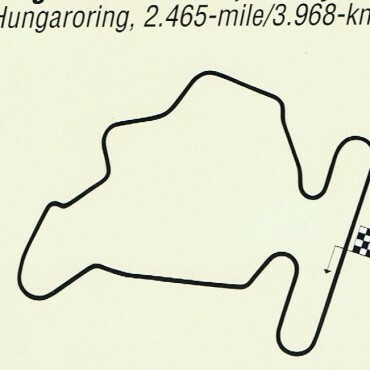 The circuit initially had a length of 4.7-miles and was unique in that the corners were traditionally banked with an extremely grippy surface. 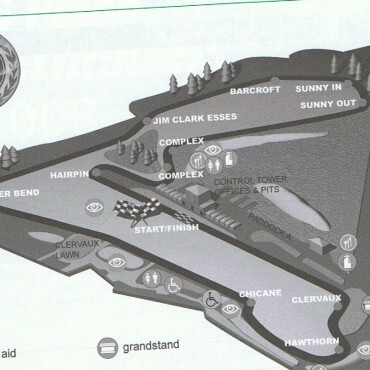 The circuit was redesigned again in 2006 and whilst it still remains popular, it did lose some of its charm. Built in the Royal Villa of Monza in a woodland setting, the Autodromo Nazionale Monza is located north of Milan in Italy and is one of the most iconic venues in motorsport history. The site has three tracks – the 3.6-mile Grand Prix track, the 1.4-mile Junior track, and a 2.6-mile high speed oval track with steep bankings that held the Italian motorcycle Grand Prix from 1949 until the mid-1960s. It remains in place to this day although it has been unused for many decades and is now decaying. Grand Prix motorcycle racing continued at Monza on the 3.6-mile variation, which passed underneath the old banking, and although two chicanes were added for cars, the bikes continued to use the un-slowed road track until the deaths of Renzo Pasolini and Jarno Saarinen in 1973, and motorcycle racing, in any form, did not return to Monza until 1981. The last bike GP took place in 1987 but the World Superbike Championship soon visited the venue hosting a round most years. A former site of a World War II Royal Air Force bomber station, Silverstone in Northamptonshire was first used for racing in 1947. 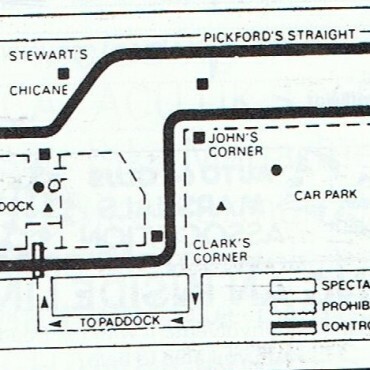 Five years later, the start line was moved from the Farm Straight to the straight linking Woodcote and Copse corners, and this layout remained largely unaltered for the following 38 years. And when the Isle of Man TT no longer became suitable for the British motorcycle Grand Prix, it moved to Silverstone, who had been running a top flight International meeting for a number of years, in 1977. The circuit hosted the GP until 1986 and was one of the fastest on the calendar with Kenny Roberts’ lap record in 1983 close to an average of 120mph. The racing was of the highest order with the 250cc and 350cc GP races often seeing up to ten riders disputing the win. 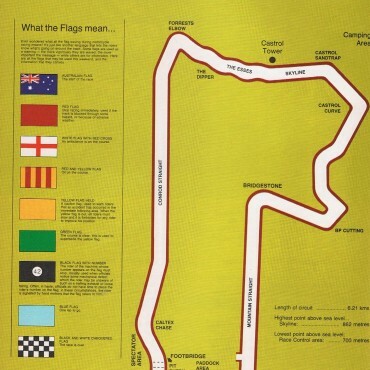 The circuit then went under numerous layout changes as F1 took over and it took some time before top flight motorbike racing was consistently back at Silverstone. It reclaimed the British GP from Donington Park in 2010 and also hosts a round of the British Superbike Championship every year. 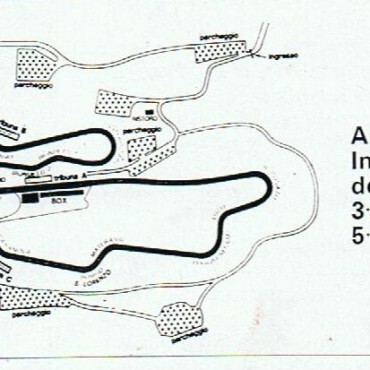 First used as a dirt track motorcycle circuit on farmland, Brands Hatch race circuit opened in 1950 and now offers two layout configurations: the shorter "Indy" layout (1.2 miles) which is located entirely within a natural Amphitheatre and the longer "Grand Prix" layout (2.4 miles). The latter is one of the most thrilling race circuits in the world with constant changes in elevation and high speeds although noise restrictions and the proximity of local residents to the GP loop mean that the number of race meetings held on the extended circuit are limited to just a few per year . The circuit has hosted the Transatlantic Trophy Races, the World Superbike Championship (where, in its heyday, it attracted 120,000 spectators) and three rounds per year of the British Superbike Championship. 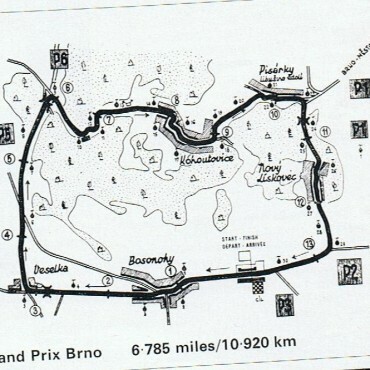 Also known as the Masaryk circuit, the original Brno street circuit was made up of public roads, and at its longest measured nearly 19 miles. The annual motorcycle Grand Prix was first held here in 1950 and ran anti-clockwise on spectacular public roads west of Brno. In 1949, it was reduced to 11.1 miles and some 400,000 fans would regularly attend. In 1965, it became part of the official World Championship and would so until 1982 but with 500cc machines already off the programme, it was finally struck from the calendar due to its obvious dangers. By this time, it had been reduced in length further still to 6.8 miles. 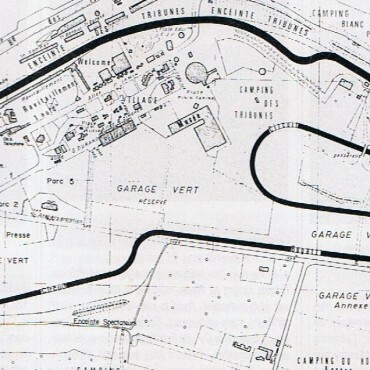 As mentioned above, the original Spa circuit was a phenomenal piece of tarmac and although it was shortened to just over 4 miles in 1979, it retained much of its character including the Eau Rouge, Radillon and Blanchimont sections. However, it instead of turning left at the end of the Kemmel Straight, it now turned right negotiating a new, purpose-built section before re-joining the old public road circuit just before the Blanchimont section. It was still very fast and still very challenging and was back on the Grand Prix motorcycle calendar from 1981 until 1990 when its dangers meant it was no longer suitable for the 500cc Grand Prix machines. It continued to host the World Superbike Championship and 24-Hour World Endurance Championship until the late 1990s but it’s now been a long time since a premier motorcycle championship visited the venue, seemingly lost for ever. 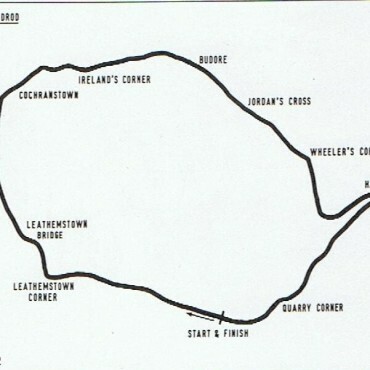 The Dundrod Circuit in Co Antrim was first used in 1950 and was 7.416 miles in length, later amended for the 1965 racing season to 7.401 miles with the addition of the Lindsay Hairpin. 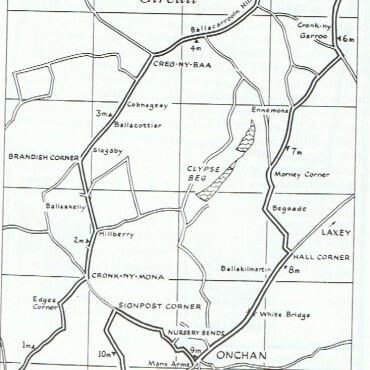 In 1953 the old Clady Circuit was abandoned for motor-cycle racing and Dundrod was chosen as the venue for the Irish round of the World motorcycle championship, something it hosted until 1971. The circuit has remained unchanged since 1965, aside from resurfacing and safety improvements in the form of the removal of trees and hedges. The traditional August date is still used for the Grand Prix, now the domain of road racing specialists, and Dundrod is currently the fastest motorcycle race course in use with the lap record standing at a fraction under 134mph. 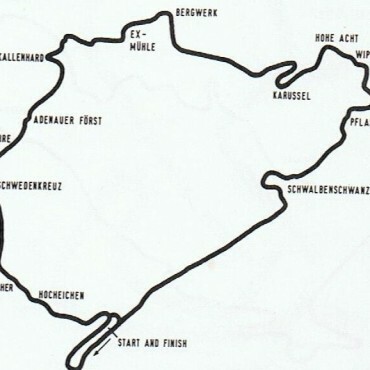 Dubbed the "Sachsenring" in 1937, the first race was actually held on 26 May 1927 on an 8.7 km layout on public roads, running also through the village of Hohenstein-Ernstthal. The East German motorcycle Grand Prix was held on the fearsome road circuit between 1962 and 1971 and it used to attract some 300,000 spectators with many of the Eastern Europeans flocking over the border to witness the racing. The quickest lap was achieved by 15 times World Champion Giacomo Agostini who averaged some 180km/h on his MV Agusta. When West German Dieter Braun won in 1971, the East German fans sang the West German National anthem in celebration and the event was subsequently limited to East European entrants for political reasons. Racing continued but soon became too dangerous with the speeds of modern machinery racing through the village with the last meeting taking place in 1990 before a new purpose-built circuit opened towards the end of the decade. Set in the hills of Tuscany, Mugello is a 3.259-mile circuit with 15 turns and a long start and finish straight. The present-day closed circuit was constructed in 1973 and opened in 1974, about five km east from the easternmost part of the original road circuit. The natural slopes around the circuit act as ready-made grandstands with an electric atmosphere as the passionate Italian fans support their heroes, none more so than Valentino Rossi. The Guia Circuit, more commonly known simply as Macau, is a street circuit located on the Macau peninsula in Macau, China and is essentially a circuit of two halves, the first being wide open, long straights and the second seeing unbelievably tight and narrow corners. 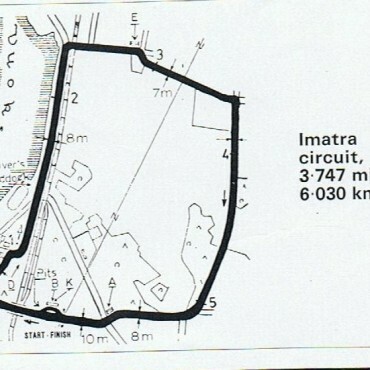 It also has variation in altitude (over 30m between highest and lowest point of the circuit) and is unique for motorbikes as it’s the only circuit they race on that is entirely lined with Armco barrier and stone walls. The first motorbike GP took place in 1967 and is arguably the most dangerous circuit used by bikes although that hasn’t stopped some of the sports finest racing, and winning, there including Ron Haslam, Mick Grant, Kevin Schwantz, Joey and Robert Dunlop, Steve Hislop, David Jefferies, John McGuinness and record winner Michael Rutter. 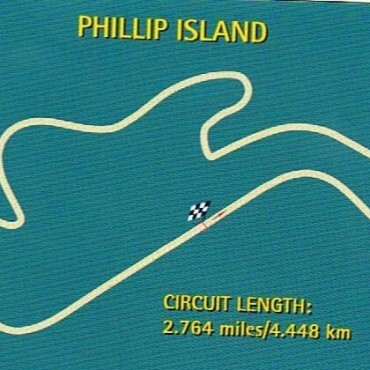 Phillip Island is an Australian island about 90 miles south-southeast of Melbourne and although racing started their in the late 1920s, the current Phillip Island circuit was first used in 1956. It is without doubt the best circuit currently on the MotoGP and WSB calendar and consistently provides the closest and most exciting racing. The circuit was closed at various stages throughout the 1960s and 1970s declining into a state of disrepair. It reopened in 1988 an with the success of Wayne Gardner, who won the 1987 500cc World Championship, the first ever Australian bike GP took place in 1989. Although it moved to eastern Creek from 1991-95, it returned to the island in 1996 and has remained their ever since, being universally popular with riders, teams and spectators. 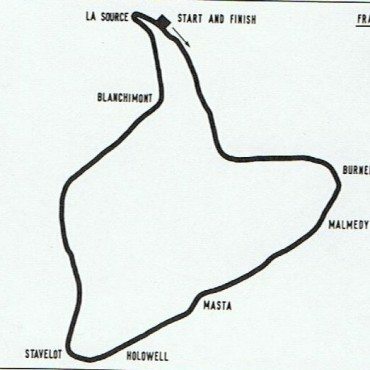 Designed in 1920, the original 8.7-mile Spa Francorchamps was a triangular shaped course which used the public roads between the towns of Francorchamps, Malmedy and Stavelot. The circuit was essentially a speed course with riders managing much higher average speeds than on other race tracks, a factor that made Spa very popular from its inception. Indeed, it remains the fastest motorcycle circuit ever used with Barry Sheene’s incredible 1977 lap record of 137.15mph. With legendary corners like Eau Rouge, Radillon and the fearsome Blanchimont, as well as the high-speed Masta straight, Spa was a true test of a rider’s skill and bravery and hosted a round of the motorcycle Grand Prix World Championship every year from 1949 until 1978. Deep in the Ardennes forest, it was often hit by heavy rain and the original circuit is still used to this day by everyday traffic surrounded by houses, trees, electric poles, barnyards, fields and other obstacles. A new, shorter 4.3-mile course was built in 1979 but was boycotted by many of the top riders due to the poor surface. The infamous Nordschleife track was completed in spring of 1927, measuring 14.2 miles and consisting of 174 bends and averaging 8 to 9 metres in width. 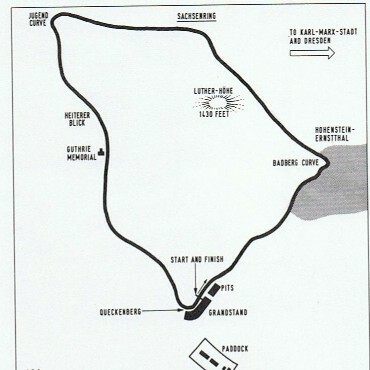 It first held a bike GP in 1955 but by the late 1960s, the Nordschleife and many other tracks were becoming increasingly dangerous although the German bike GP continued to be held here on alternate years, the final one taking place in 1980 and the World Endurance Championship two years later. Winners over the years included Geoff Duke, Bill Lomas, Carlo Ubbiali, John Surtees, Phil Read, Mike Hailwood, Giacomo Agostini and Jarno Saarinen but as a result of the safety demands, a new short circuit Nurburgring was completed in 1984. However, since its opening in 1927, the original Nordschleife has been used by the public and is now opened mainly on Sundays, but also many Saturdays and weekday evenings. It remains a popular attraction for many riders from all over the world, partly because of its history and the challenge it provides. Quite simply, the 37 and ¾-mile Isle of Man Snaefell Mountain Course is the most famous bit of tarmac in the world and is the oldest circuit, of any kind, still currently in use. 1907 saw the first Isle of Man TT races but these were held on the shorter St Johns Course on the west coast of the island. However, the action moved to the Mountain Course in 1911 where it has remained ever since and, save for the additional of Governor’s Bridge in 1920, resurfacing and some re-profiling of a number of corners it has remained unchanged which makes its longevity and survival all the more remarkable. It didn’t take long before the event became the most famous in the world, a tag it still has today, and from 1949 until 1976 it hosted the British round of the motorcycle Grand Prix Championship before it moved on to the mainland and the shorter, safer man-made circuits. With over 200 bends and corners, as well as scaling the Snaefell Mountain (2034 feet high), the course is the ultimate test of man and machine although, of course, it is also one of the most dangerous. Both riders and spectators, from all around the world, continue to flock to the event, traditionally held in the first two weeks of June. The outright lap record now stands to John McGuinness at a mighty 132.701mph.